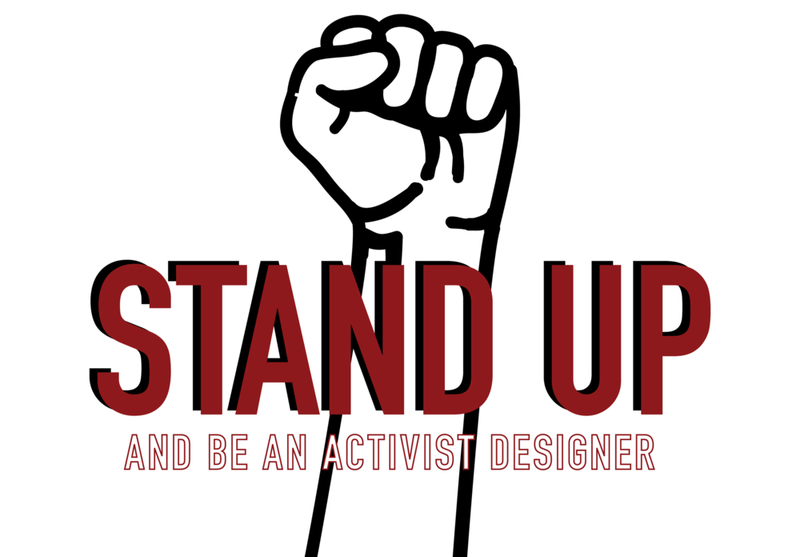 This activist manifesto was how I decided to define the "Design Activist" community for my Social Design course at LCC. 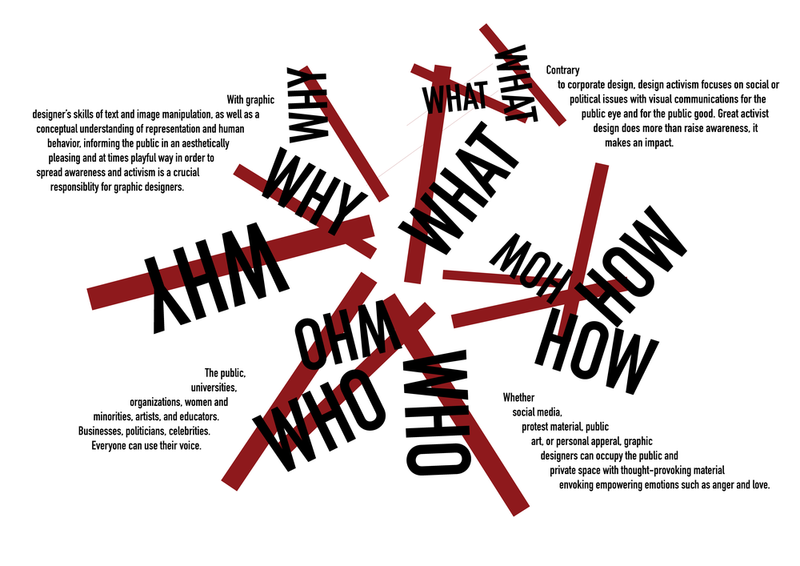 I decided I would break up the different parts of what it means to design for social justice into Who, Why, What, and How. I wanted the design to also function as a sign that could be used for protests. 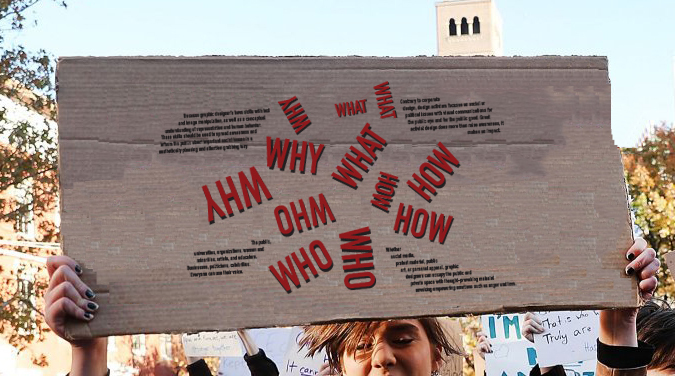 One side of the poster represents the community (Front) and can be used for marches, the other side (Back) defines the community and is more informational. I plan to screen print the design onto cardboard in order to encapsulate the activist community and aesthetic.